As the market balanced, the media focused on the negative stories about real estate. It’s nothing new. Looking ahead, CREA forecast that the national average price will increase by 2.7% to $508,400 in 2019. 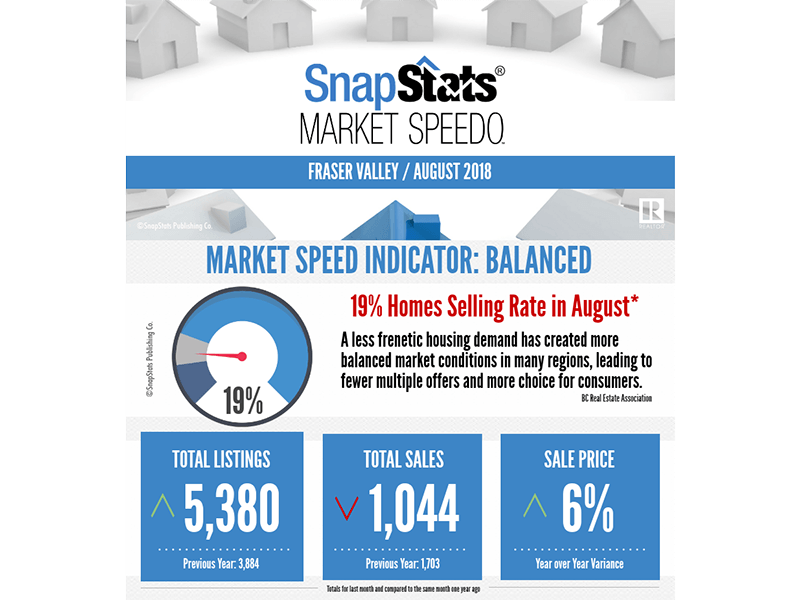 This outlook reflects modest average price growth in several provinces and the return of the normal seasonal patter for sales and average prices in other provinces. The media is presenting this as an awful. But let’s pause for second. A 2.7% gain on a relatively risk free investment, that you can live in and build equity on, is fantastic. Especially considering that most of us don’t buy homes with cash, we use a down payment. We ‘leverage’. Let’s say a homes average price only increased by 2% a year. A $50,000 down payment on a $500,000 homes that grows at 2% a year delivers an annual gain of $10,000 because of leverage. That’s a 20% return on the downpayment. As you move up, a $300,000 down payment on a million dollar home at 2% growth delvers $20,000, still a 6.5% gain. Return on investment is the bonus of home ownership. With the Bank of Canada nudging it’s key rate up to 1.75% on Sept. 24, some expect rising interest rates will hold price gains in check. Plus, there is long term equity growth from the amortizing a mortgage, even if there’s only a modest inflation of prices. There is no amortization from rent cheques. Like at investment, buying or selling decisions want solid information, good plans and terrific representation. A solid negotiator. Smart marketer. Just a phone call away. No matter what your viewpoint today many of the worlds economies are bouncing. Leaders are focused on trade imbalances and that uncertainty seems to affected economic activity and outlooks on a global scale. Despite slower growth, recently released economic numbers were better than originally forecast. While manufacturing saw a slight pull back, the bulk of the sub-sectors monitored by Stats Canada grew, leading to a 0.8% increase. Retails sales experience a slight pull back but overall output in the sector was enough for it to reach the 25th consecutive month of expansion. The Canadian dollar lost some ground against the US greenback. The upside – a falling loonie is good for exporters and the tourism industry across Canada. A softer Canadian dollar against the Euro should also benefit exporters taking advantage of the Canadian-European Union Comprehensive Economic Trade Agreement (CETA). CETA opens up a market of over 510 million people representing roughly 22% of Global GDP. At the beginning of June, many economists were on the fence with regard to a July BoC rate hike. But with the better than expected data, it was not surprise that on July 11th the BoC bumped the Key Rate up a quarter point to 1.5% in a continued plan to head towards more ‘normal’ interest rates. What lies ahead? With a decade of super low interest rates, the World Bankers seem to be trying to figure out what the new normal on interest rates should be. Could lead to another bump in the coming months. We are now the only BBB Realtor in Abbotsford accredited under the Better Business Bureau’s guidelines. We also have an A+ rating. What does that mean for you the consumer? You know that we have been vetted by the leader in business community where it relates to a companies business policies.